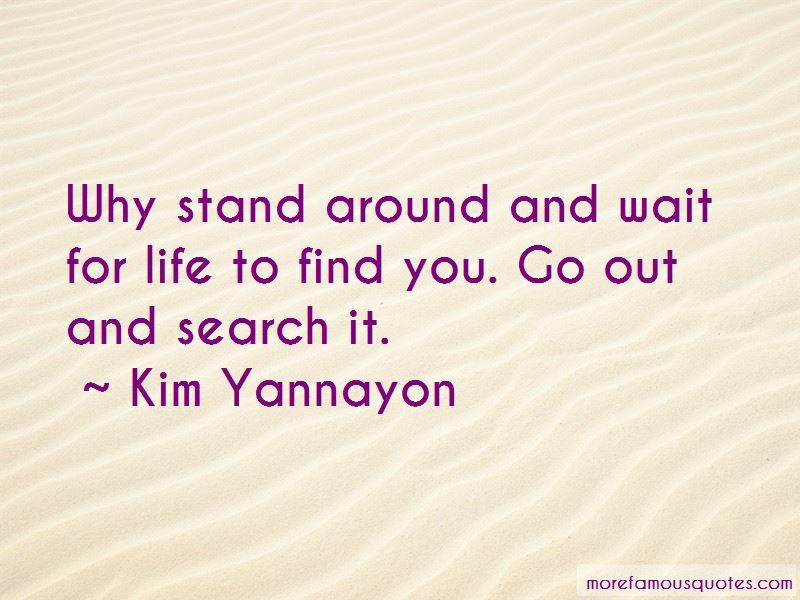 Enjoy the top 8 famous quotes, sayings and quotations by Kim Yannayon. You have only one life! Take a chance, make a change, and live! Why stand around and wait for life to find you. Go out and search it. Never pass up a valuable opportunity, because regret can last a lifetime. I've learned it does not do well to dwell on the past. You cannot change it. you can revisit it, you can remember it, but it simply will not change! 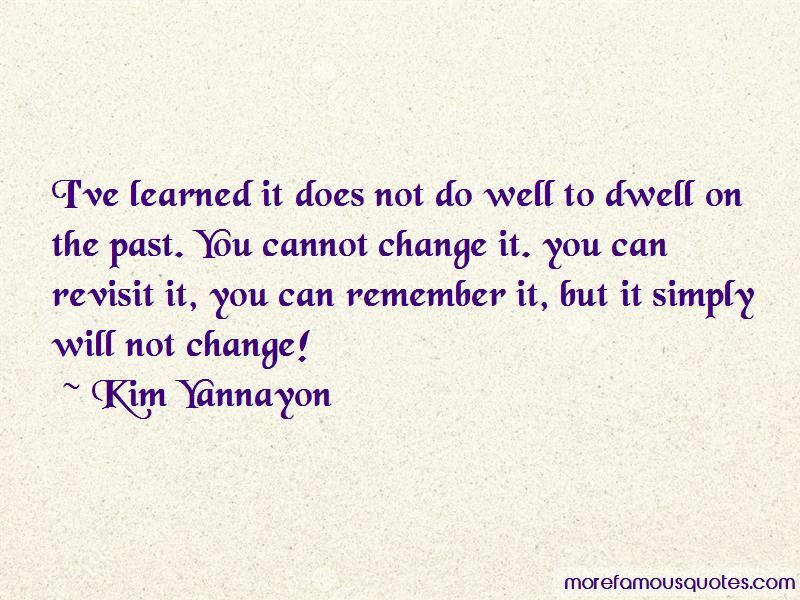 Want to see more pictures of Kim Yannayon quotes? Click on image of Kim Yannayon quotes to view full size.